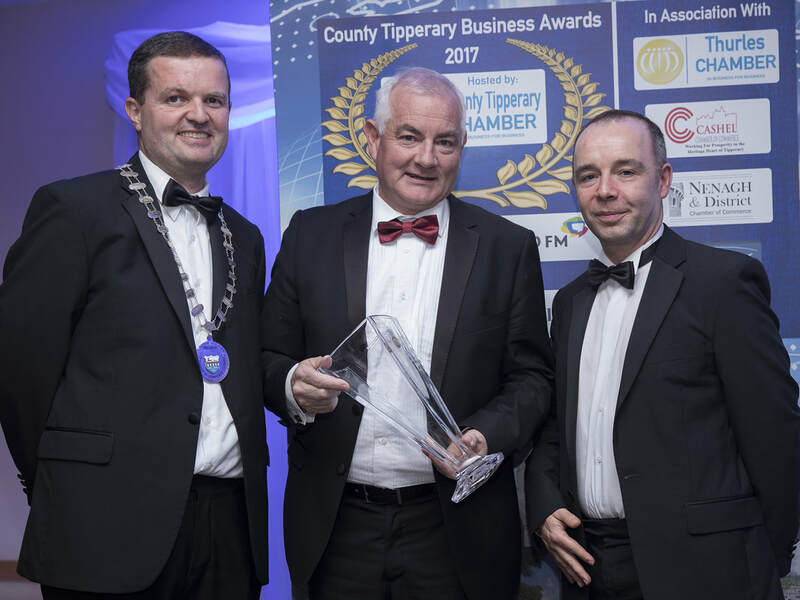 One of the world’s leading thoroughbred stud owners, John Magnier, has been selected as the inaugural winner of the County Tipperary Chamber President’s Award. Thirteen awards in all were given out overnight at a gala, black-tie event in the Clonmel Park Hotel, recognising successful Tipperary based businesses in areas such as SME, Sports, Art & Culture, Food & Agriculture, Training & Development, Start-Up, CSR, Retail, Hospitality & Tourism, Large Company, Social Media, Family Business, and Services. 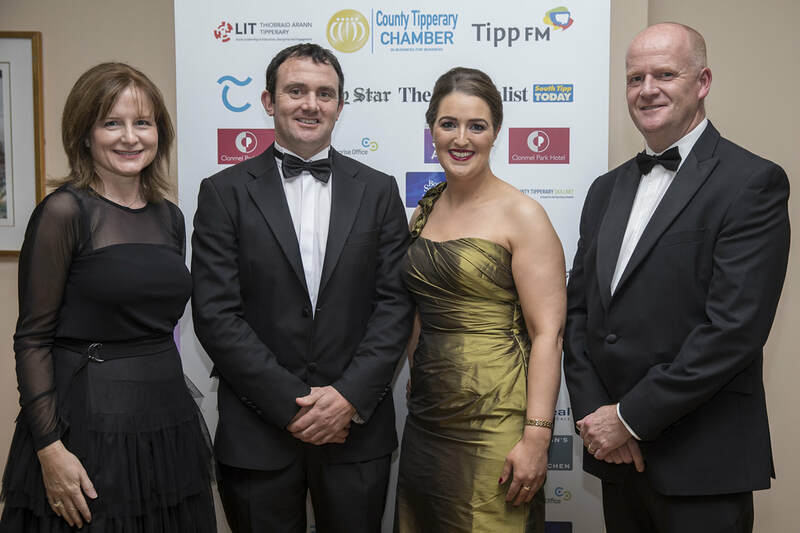 ​ Pride of place, however, went to an adopted son of the county, stud owner and Cork native John Magnier as he received the County Tipperary Chamber President’s Award. 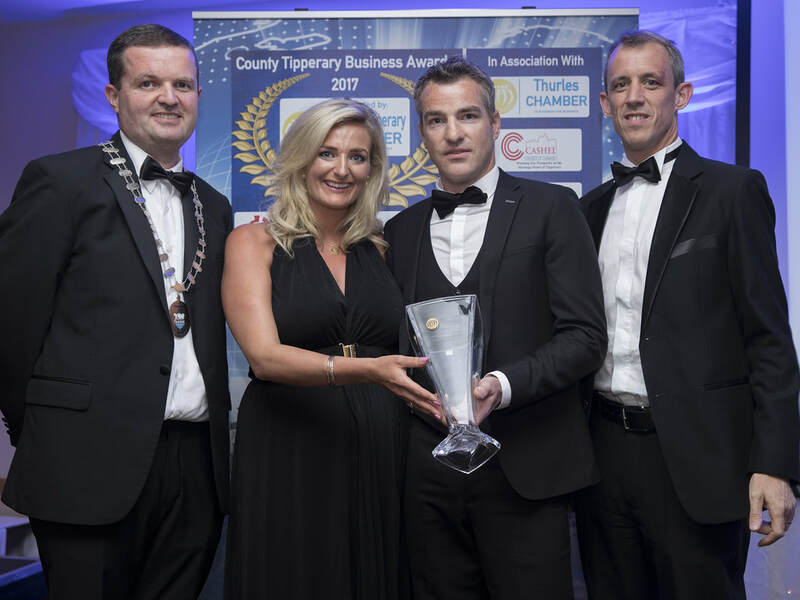 Magnier, who owns both Coolmore Stud and Ballydoyle Racing Stables in Tipperary, as well as employing 1,000 people there is a major benefactor to the local community and commended the county on its pro-business environment as he received last night’s award. 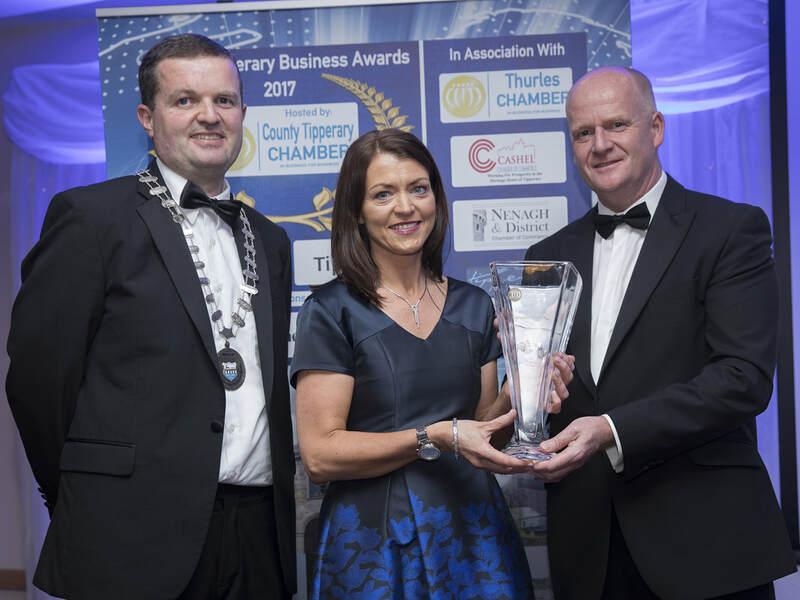 “This is a humbling experience for us and I mean ‘us’ as I accept this award on behalf of everybody in Coolmore and Ballydoyle. 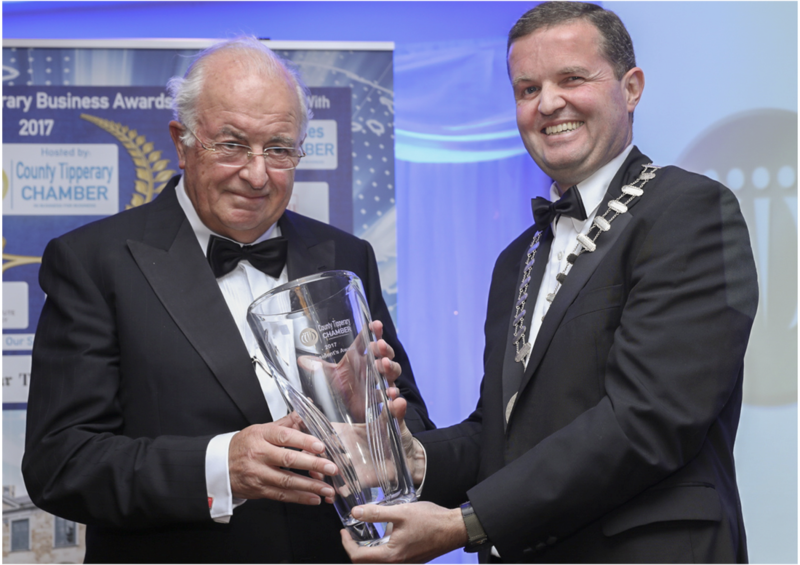 It means so much to us when we get this at home from all of you,” he said. 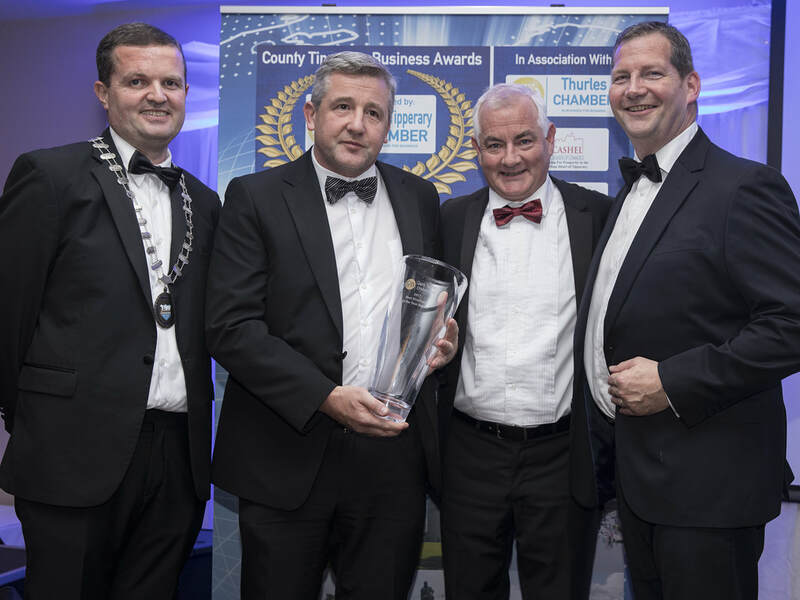 “This area benefits greatly from foreign investment but that foreign investment doesn’t have to stay here. 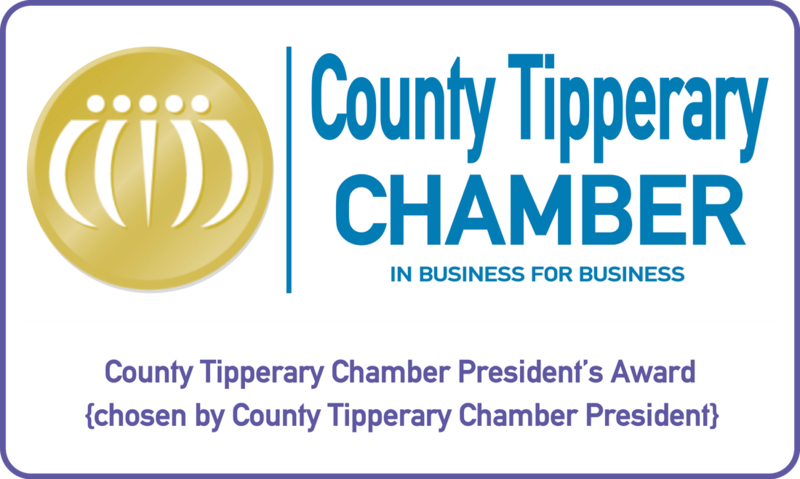 In our case we have offices around the world but we encourage people to come here and we want our headquarters here. 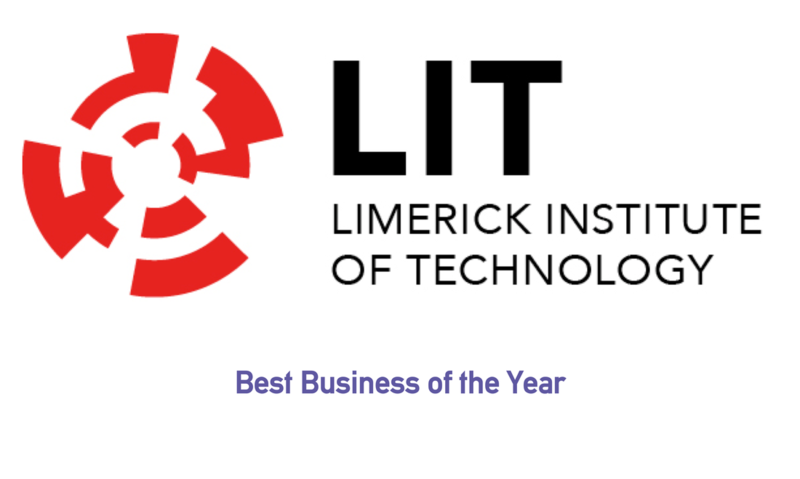 This is home for us. 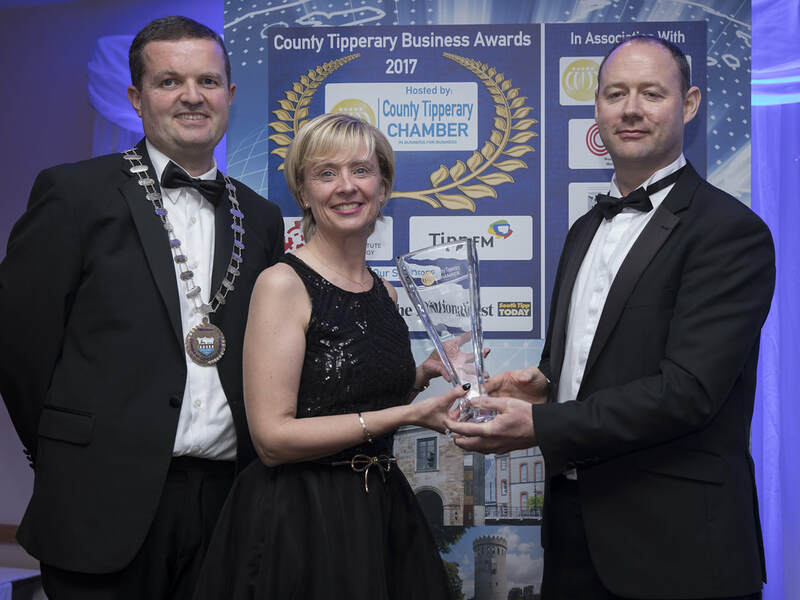 Also speaking at last night’s event, County Tipperary Chamber President TJ Kinsella, Director of Production at Boston Scientific – employers of 1,000 people at their Clonmel plant - said that business in the county deserves to be recognised. 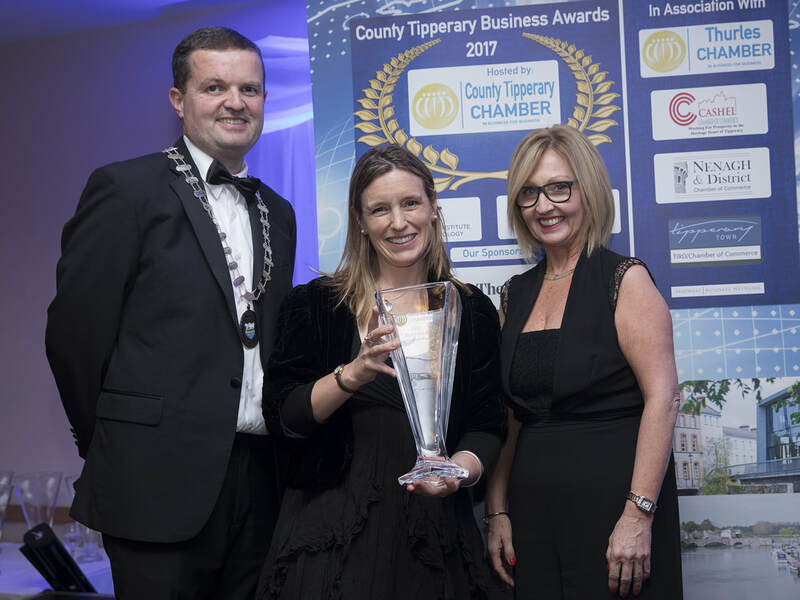 “Lots of folks know Tipperary is a great place to live. We’ve a great tradition of culture, sport. 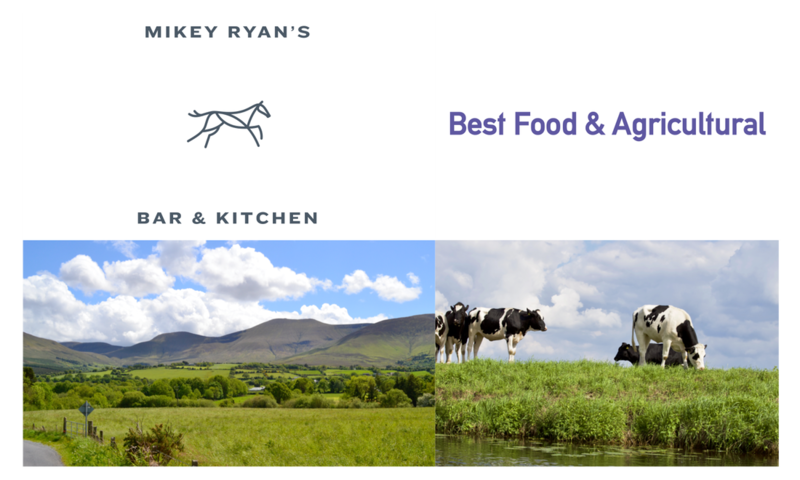 It’s a great rural atmosphere. 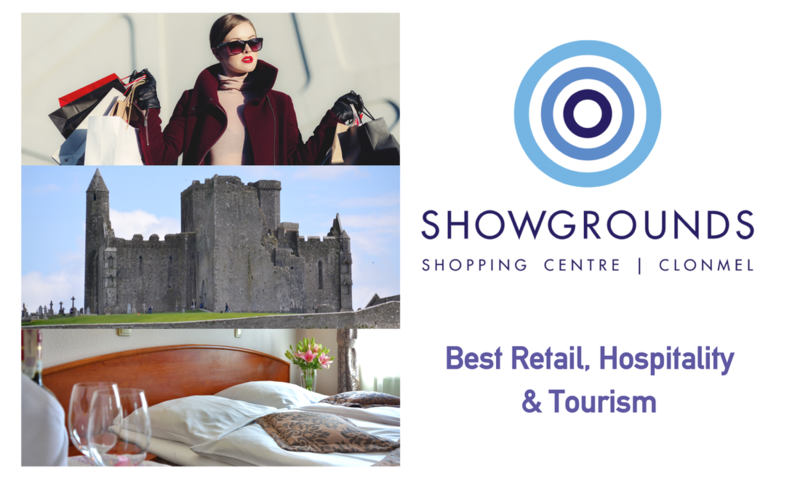 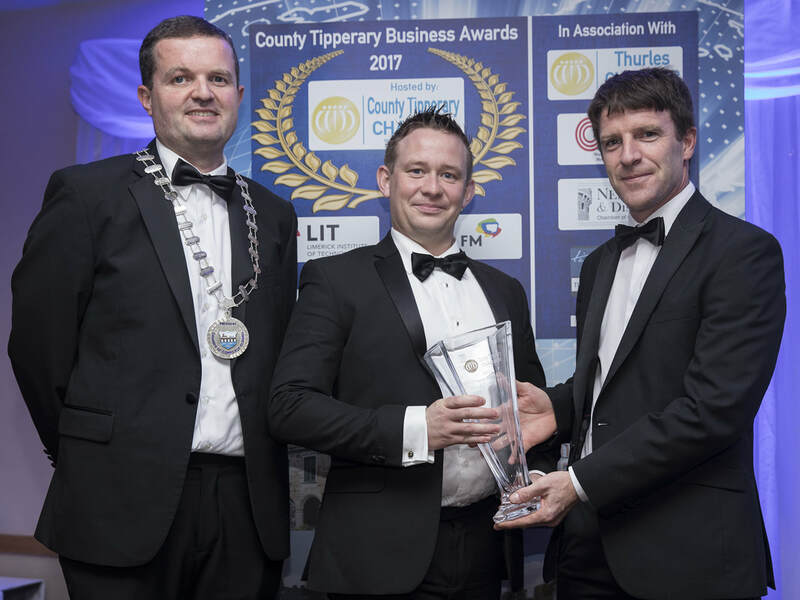 But what people maybe don’t realise so much is we have some great business, from the multi-nationals to the small and medium enterprises; those start-ups, those family businesses that are just fantastic in Tipperary and we are here to congratulate and celebrate every one of those here tonight. 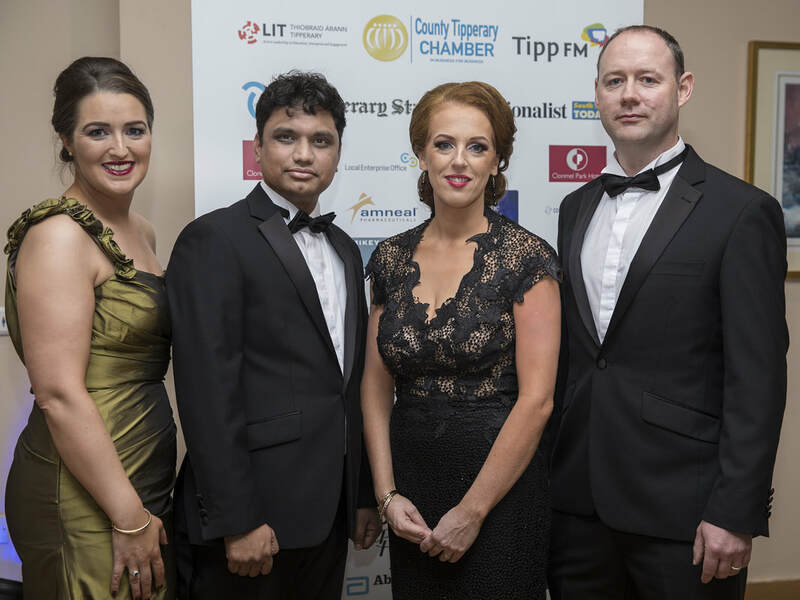 “My background is with multi-nationals. 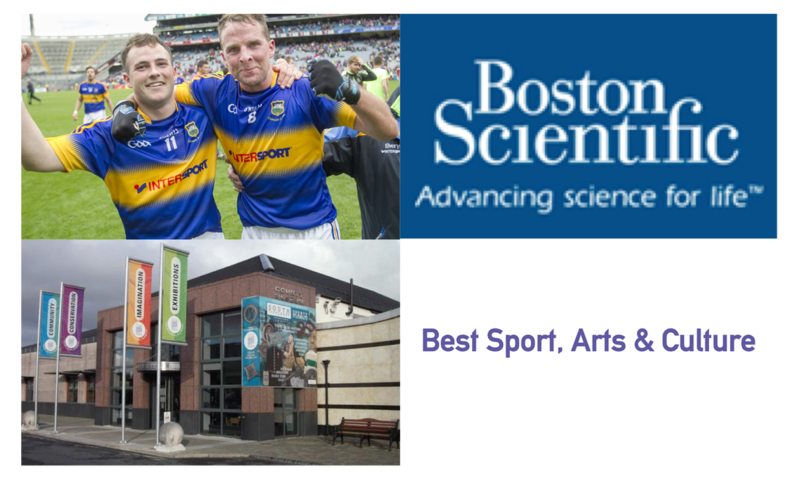 I am working with Boston Scientific. I have access to a multi-national. 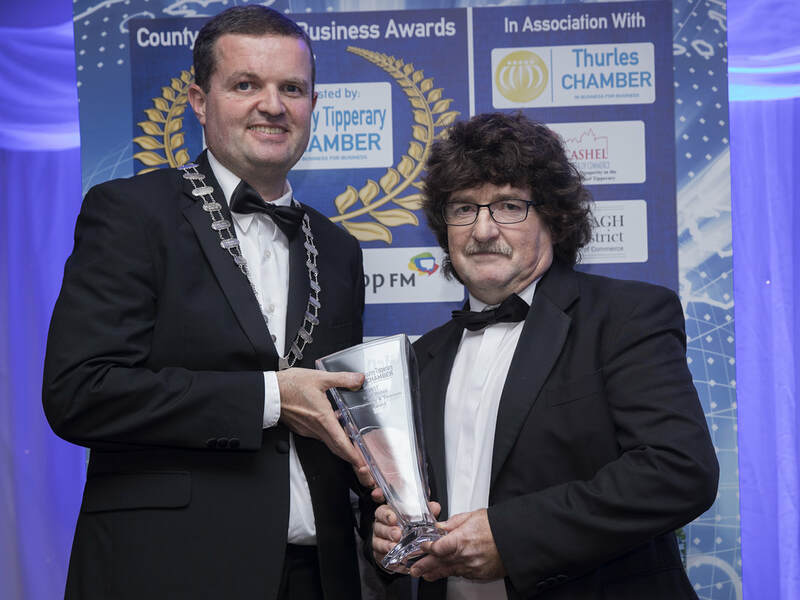 We are making great medical devices and yet I live in the countryside ten minutes from my desk. 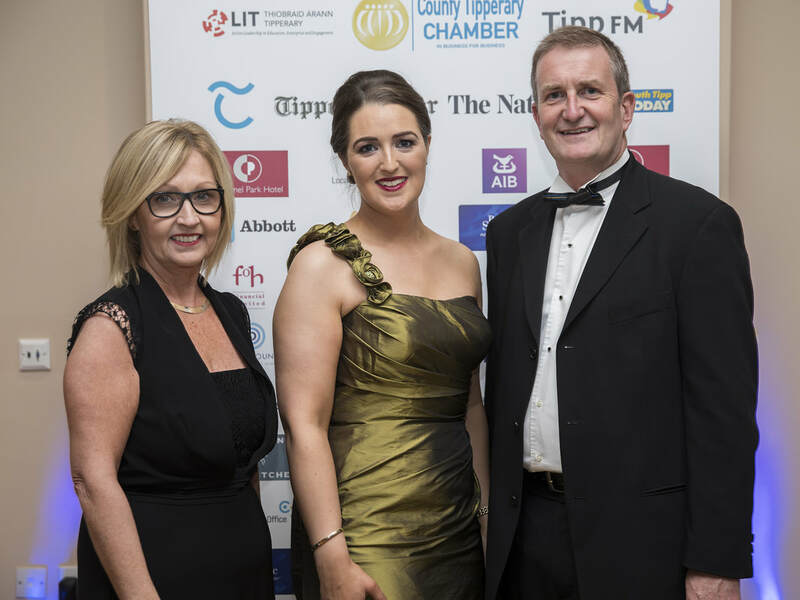 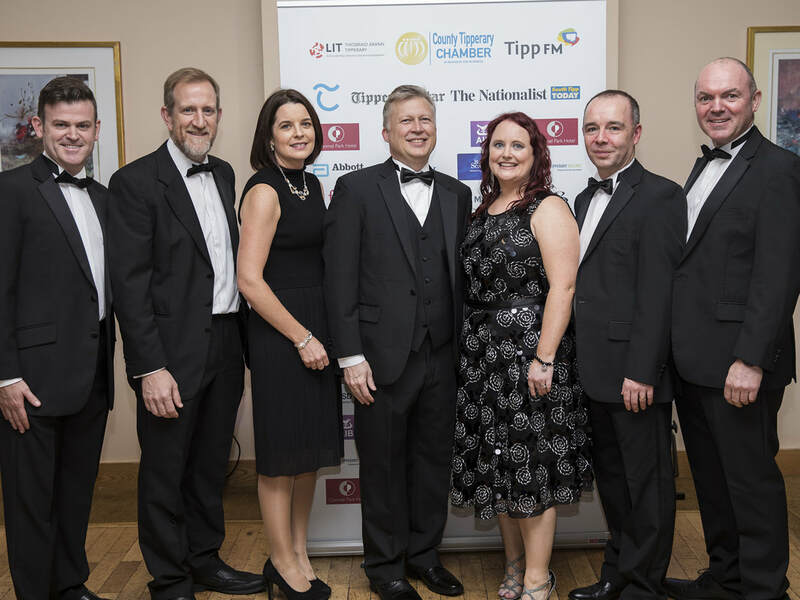 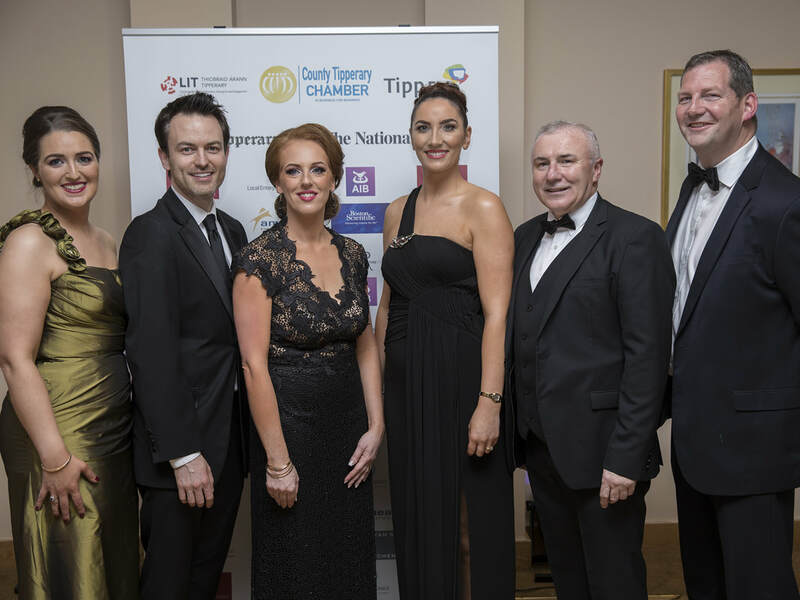 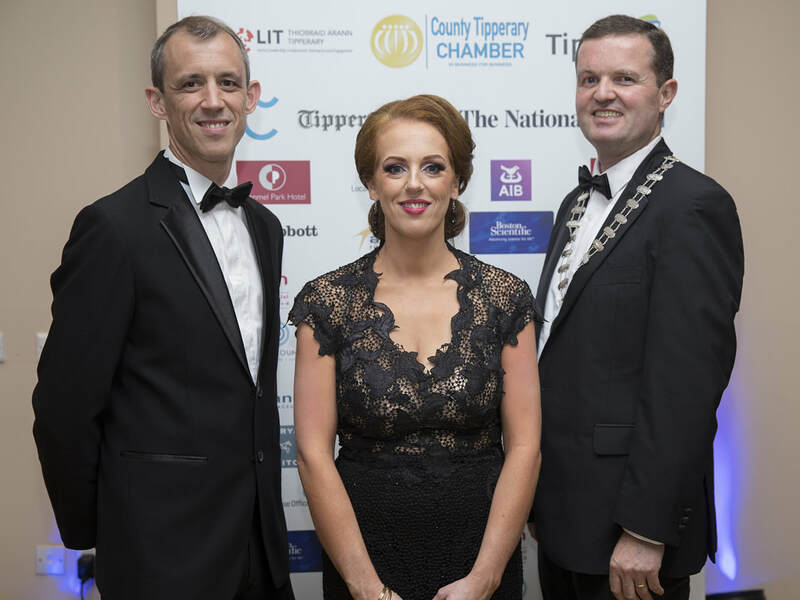 ​County Tipperary Chamber in association with our event Sponsor - Limerick Institute Of Technology, looked for businesses in the County that have achieved outstanding success in the past 12 months to enter the 2017 County Tipperary Business Awards. 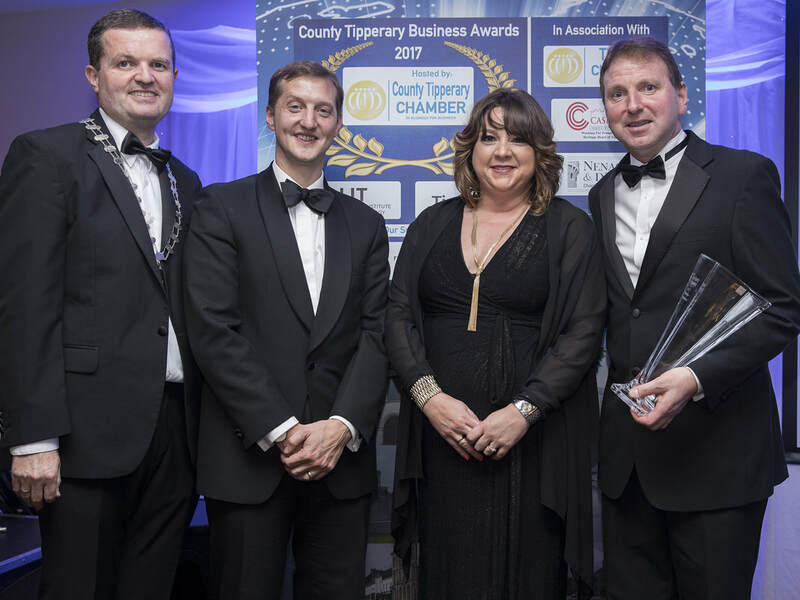 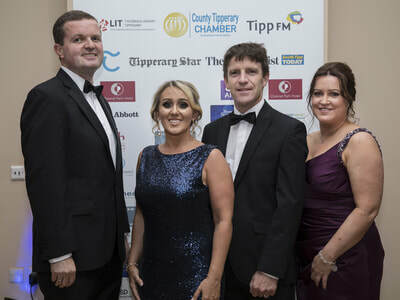 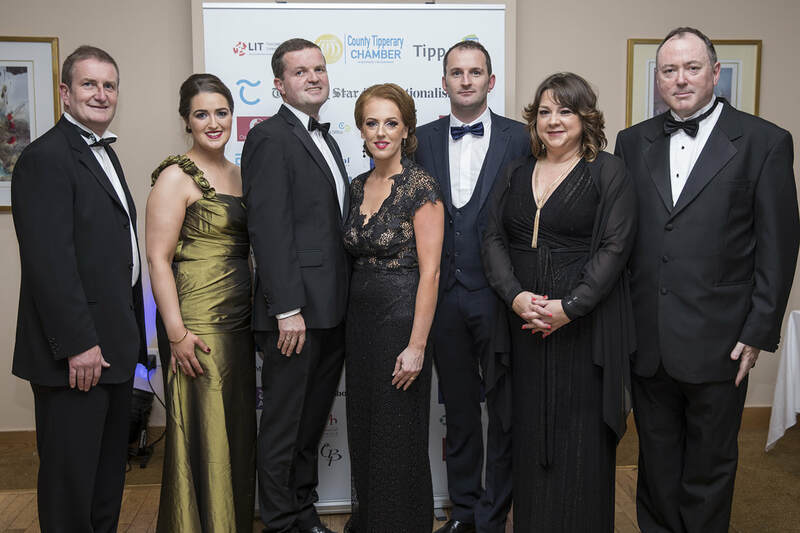 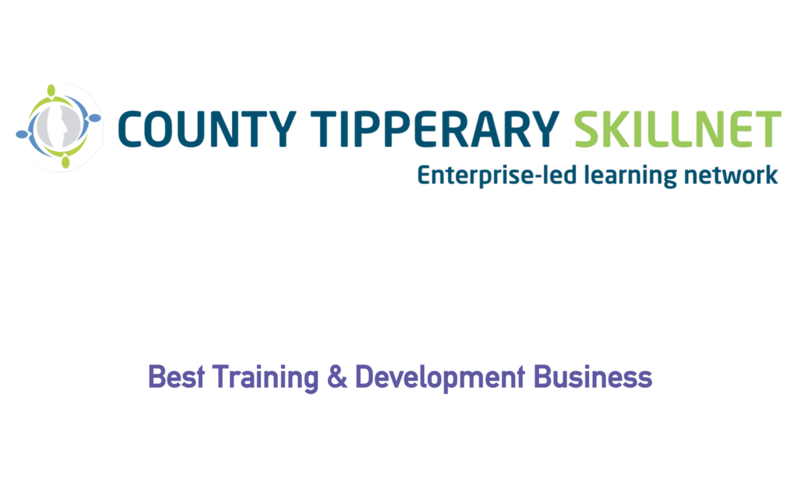 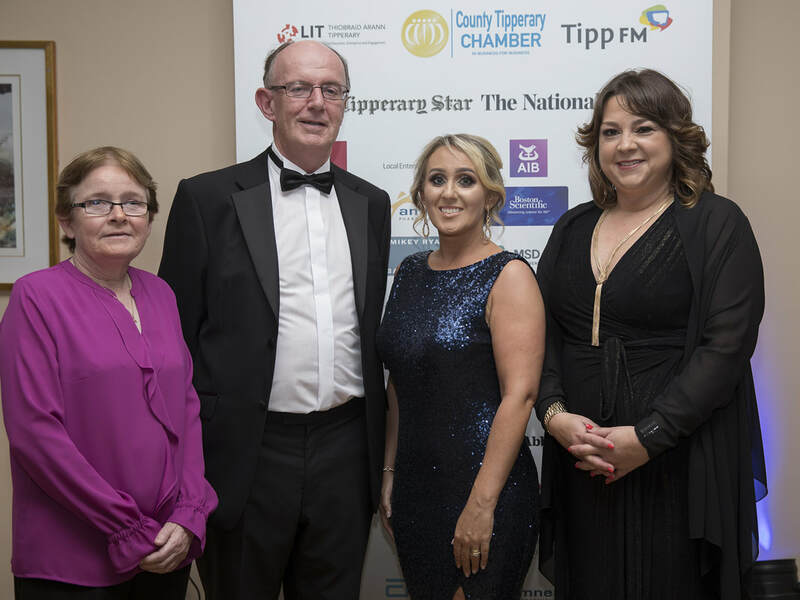 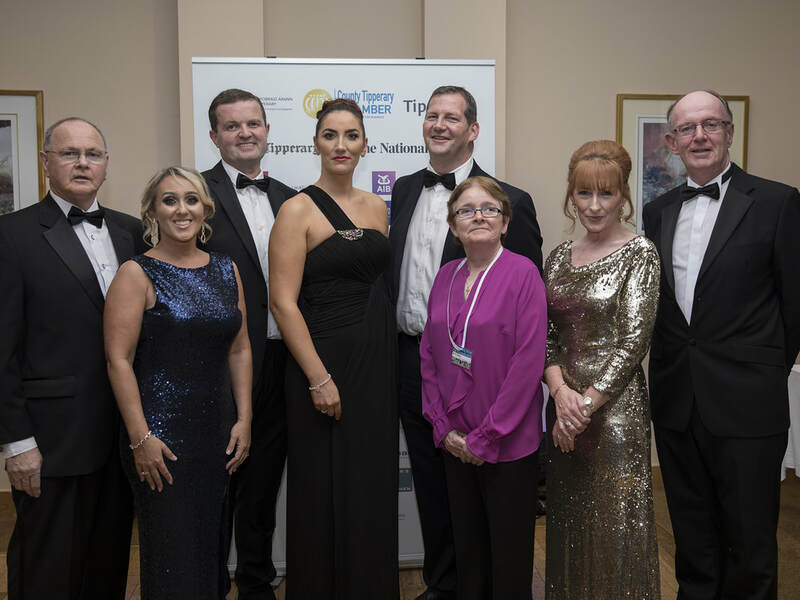 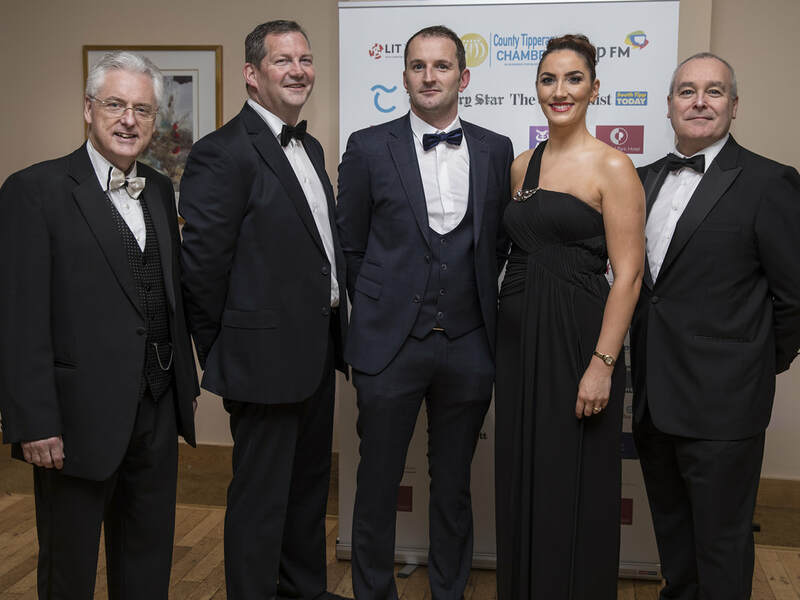 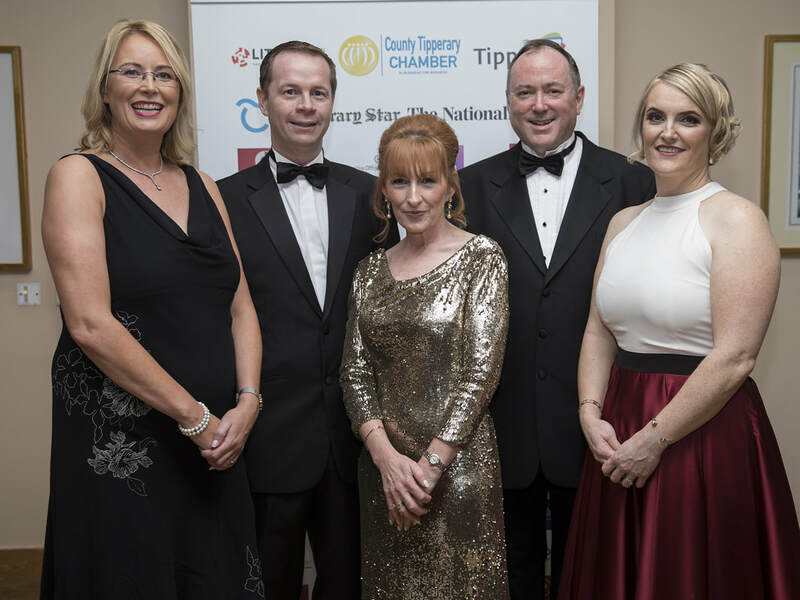 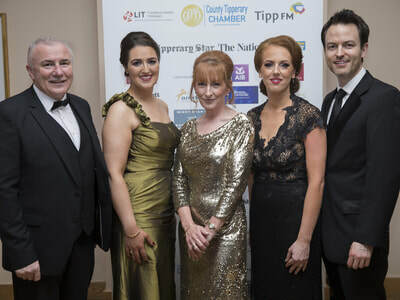 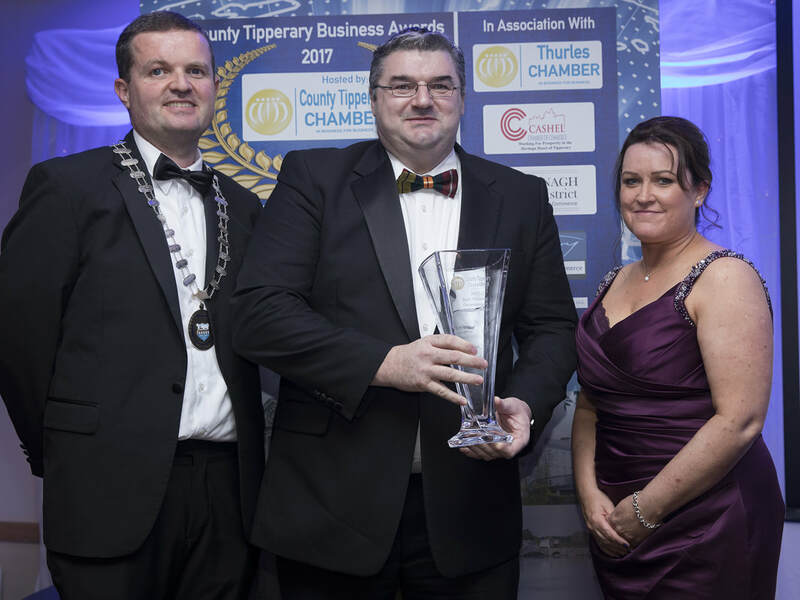 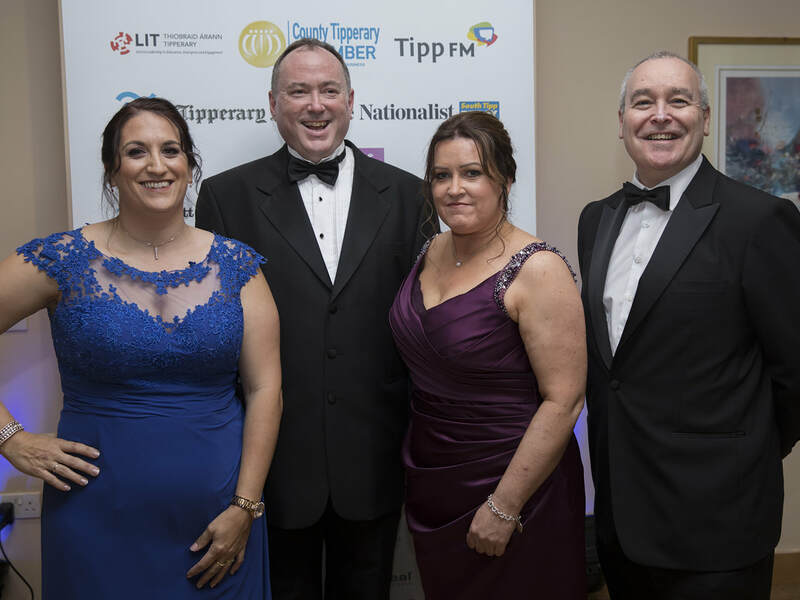 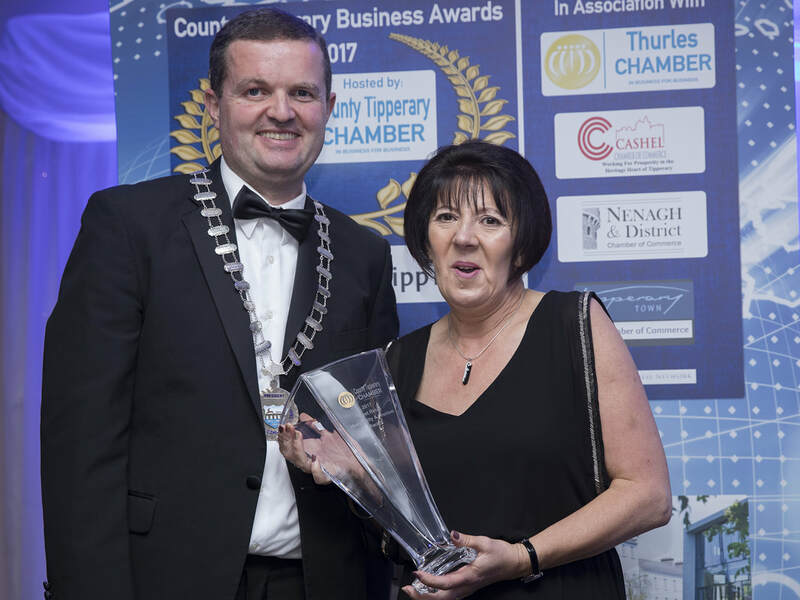 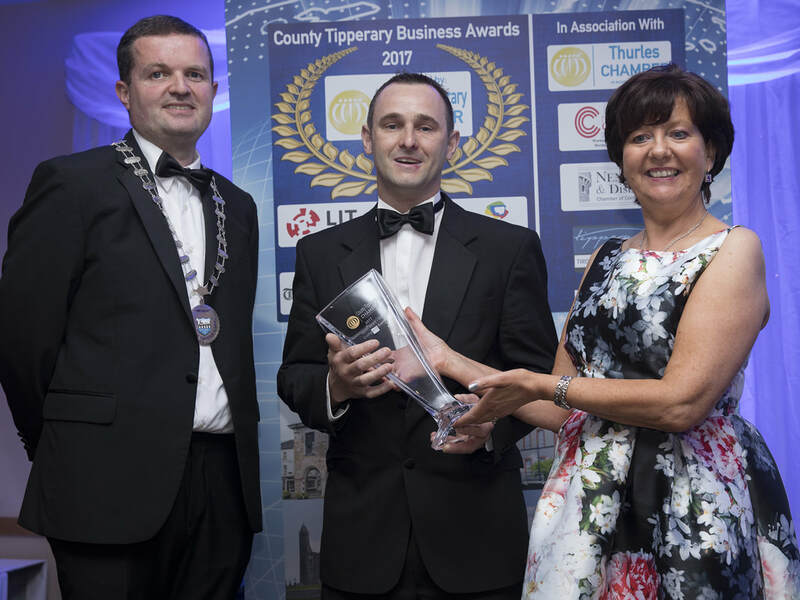 The Awards were announced at the Inaugural Annual County Tipperary Business Awards on October 13th at the 4* Clonmel Park Hotel - a night to celebrate and highlight business achievements, innovation and excellence in the County. 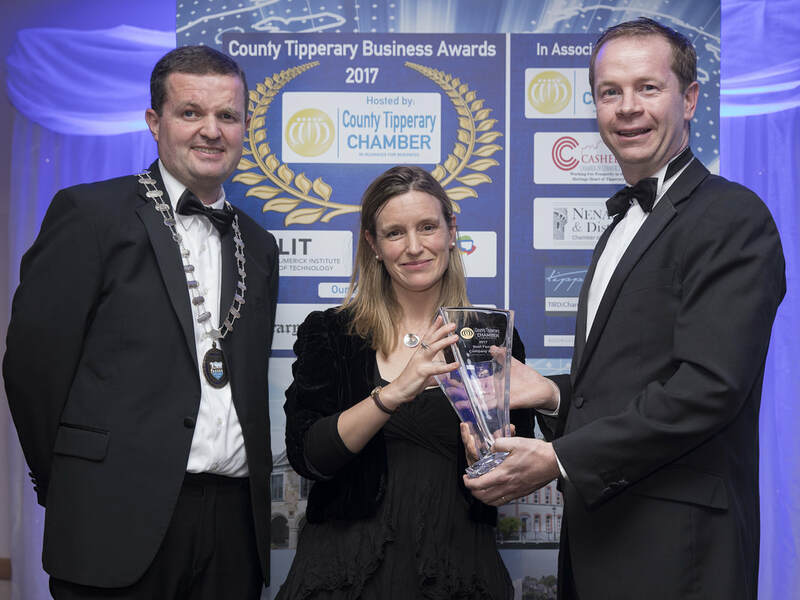 T.J. Kinsella Chamber President, Sarah Furno Cashel Blue Cheese receiving the Best Family Business Award from Patrick O'Gorman of O'Gorman, Brannigan, Purtill & Co. 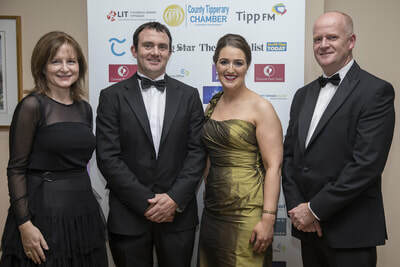 The Team that brought you the County Tipperary Business awards: Ian Cooke, Metis Ireland & Chamber Director, Mary O'Keeffe of Larry O'Keeffe Furniture & Chamber Director, T.J. Kinsella Director of Production at Boston Scientific & Chamber President, Laura Jones Sales & Marketing Manager at the Clonmel Park Hotel & Chamber Director, Frank McGrath Chamber Director and head of the team, Frances O'Hanlon of FOH Financial & Chamber Director and David Shanahan, CEO of the Chamber who brought you the webpages, social media and graphic design for the event.